Stevie Ray Vaughan with Double Trouble. Tommy Shannon is in the back. Despite having a mainstream career of only about seven years, there is no doubt Stevie Ray Vaughan was one of the most influential guitarist to have ever lived. His revival of blues music was something done almost by him and his band-mates alone. 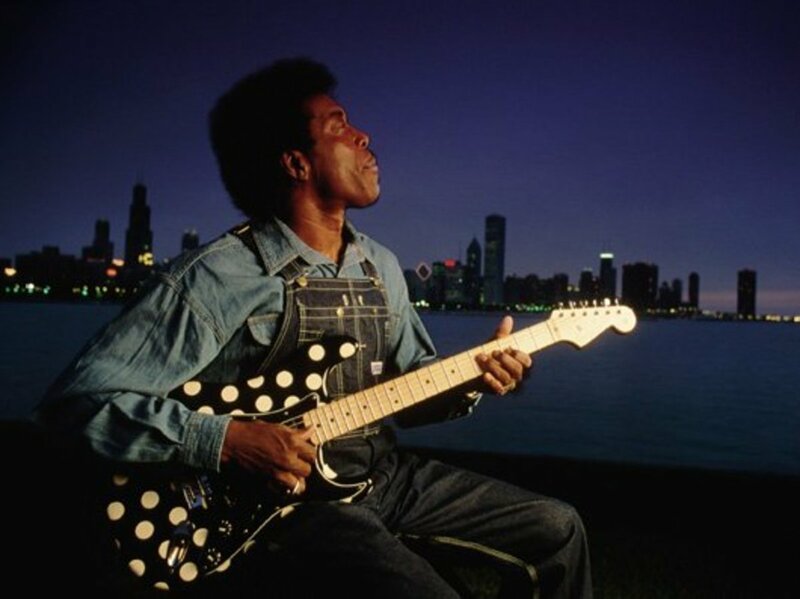 He's a member of the Blues Hall of Fame, the Musician's Hall of Fame, and the Rock and Roll Hall of Fame. During a time when glam metal was king of the radio, and guitar heroes were trying to see how many notes they could cram into every passing second, Stevie Ray Vaughan was creating original blues in a completely unique yet traditional manner. While Eddie Van Halen, Steve Vai, and Randy Rhoads were playing through heavy distortion, SRV almost never used anything but his amplifiers running clean. Stevie didn't follow trends. I'm a Texan myself, and like SRV, I was born in Dallas, Texas. I've even lived in Oak Cliff where Stevie grew up. Stevie is regarded as one of the greatest musical icons of our state. He's right up there with Willie Nelson. In the many music groups on Facebook I frequent, I've come to realize the adulation of Stevie Ray Vaughan isn't overblown in my mind due to where I live. He's adored globally. 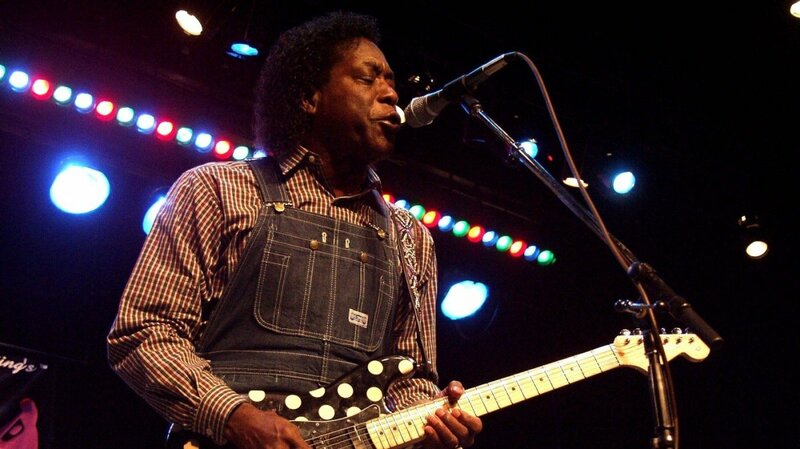 The vibrant Texas music scene has spawned a lot of great artists, and a lot of those were blues guitarist. Even the King of the Delta Blues, Robert Johnson, recorded his music in Texas. Stevie had relocated from Dallas on down to the capital, Austin, where he became famous with the help of the stupendous Double Trouble rhythm section. Today you can visit the grave of Stevie Ray Vaughan in Oak Cliff where he's buried right next to his father, who died on the exact same date four years prior. From there I'd wager you know the tune. Stevie and Double Trouble went big time. SRV partied hard, then sobered up only to die way too soon in a helicopter crash. Him blazing away on his Fender Strats won't be soon forgotten. He was so exceedingly good a guitarist folks sometimes forget his singing, songwriting, and record producing. 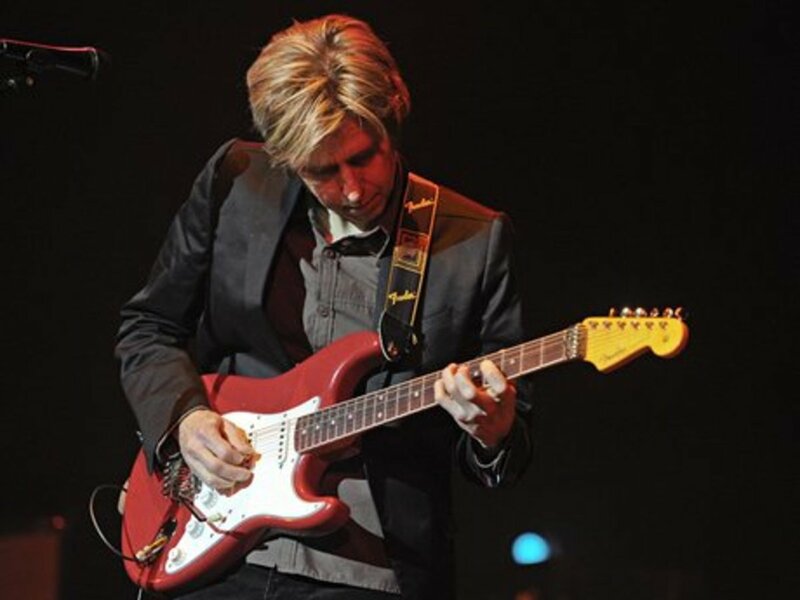 Guitar Player magazine once stated that Eric Johnson was one of the world's most respected guitarists. That he is. But Eric Johnson is more than that. Eric is one of those people who is at a savant level. He's a prodigy in music. He plays acoustic guitars, lap steel guitars, bass guitars, resonator guitars, piano, and he sings. He plays jazz, rock, fusion, blues, soul, folk, new age, classical, and country music. It shouldn't surprise you his family is very musically inclined. He would start out studying piano, then get his first guitar at age eleven. Four years later and he was the guitarist in a band. When he got out of high school he studied at the University of Texas in Austin for a bit. His first musical success came with the band Electromagnets. Eric's guitar playing was the reason they had a following. From the Electromagnets he'd release a solo album, but he wasn't making a living with it. He went in for work as a sessions guitarist, and performed live too, in Austin. In the mid 1980s being a hotshot guitarist would be a talent which really could sell records, and so Eric got on with Warner Brothers. My first memories of Eric were hearing him play his instrumental 'Zap,' on the radio. I was excited to get a guitar magazine with him on the cover, and that tune in the tab section. No way I could play that though. Few can play things Eric Johnson plays. 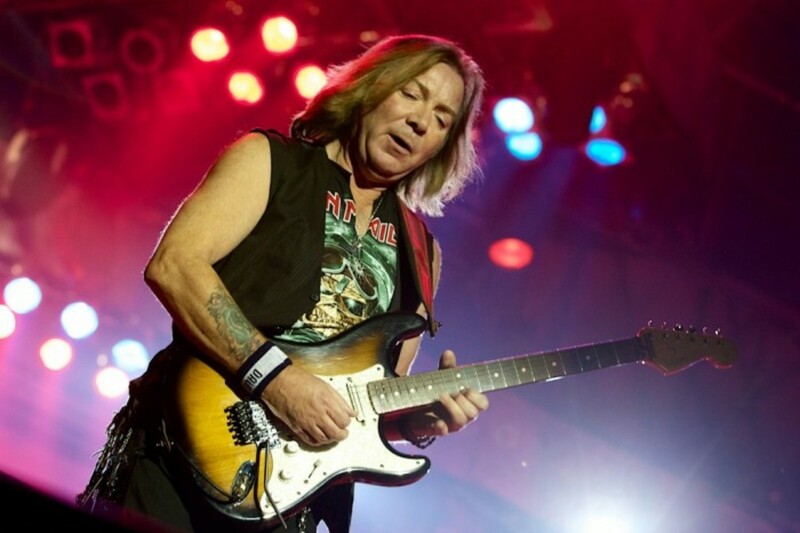 With his Albums 'Tones,' and 'Ah Via Musicom' Eric would become pretty famous for his Stratocaster tone that sounded for all the world like a violin. And his instrumental, 'Cliffs of Dover' would win him a Grammy award. Eric's next album didn't do so well, and probably because he fretted over it a bit too long. Johnson's music in no way fits easily into the shred category, but Eric sure can shred. His next success would be to tour with Steve Vai and Joe Satriani. Eric Johnson is still around and playing amazing music today. 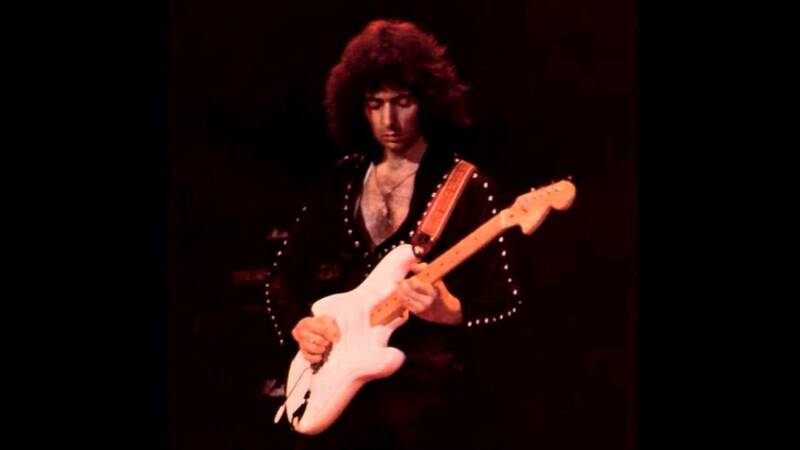 He doesn't always play a Fender Stratocaster, but he most often does. For our purposes here we'll discuss his Fender Artist Series Strat, and we shall compare it to fellow Texan Stevie Ray Vaughan's. I'm not comparing these two because Eric and Stevie's music is similar, or because they are both Texans. I'm comparing these two guitars because they are so very comparable in terms of price. These two Fender Artist Series Strats are expensive ones. They come in just under two thousand bucks. That's Les Paul territory. These are serious guitars for serious players. Lets have a look! SRV told some folks his numero uno ax was a 1959 model. I do not believe he was attempting to be deceiving at all. I think he just didn't want to tell every single person who asked about the guitar that it was a bit of a Frankenstein. Eric Clapton had famously created his number one Strat out of the parts of several. Well, Stevie did the same thing. The body came from an 1963 Strat. The neck came from a 1962 model. It was the pickups in the thing which came from a 1959 Stratocaster. It's clear the left handed bridge came from a guitar that was none of the three which the other parts had come from. Why did Stevie want a left handed tremolo bridge anyway? One wonders did Leo Fender ever consider a right handed guy may want the tremolo arm up top instead of at the bottom. Stevie wanted it that way, and that's all that mattered. So his Artist Series Strat has a left handed Strat's bridge and tremolo arm on it. We've got a non-rosewood fingerboard here. Yes, it looks a lot like rosewood, but it is not. Pao ferro is coming into its time in guitar building, but the Fender SRV Strat has been using it for a number of years. The new Jimi Hendrix Monterey Strat also has this feature, and some find the grain pattern more attractive. You get three Texas Special pickups. These are a major component insofar as allowing or helping persons to sound like SRV. Stevie always said one's tone comes from their hands, and that gear didn't matter so much. Well, the people at Fender are trying to help out as much as possible. I am too. You're going to have to use bigger strings than any of your friends to truly capture Stevie's tone. Persons considering a purchase of this guitar need to think about the neck. This is not a Fender 'C' profile neck. This is much more like a baseball bat, or a Ritchie Blackmore Strat neck. The gold hardware really sparkles, and the instrument comes with a super cool, vintage tweed case. Finally we need to address the fingerboard radius. 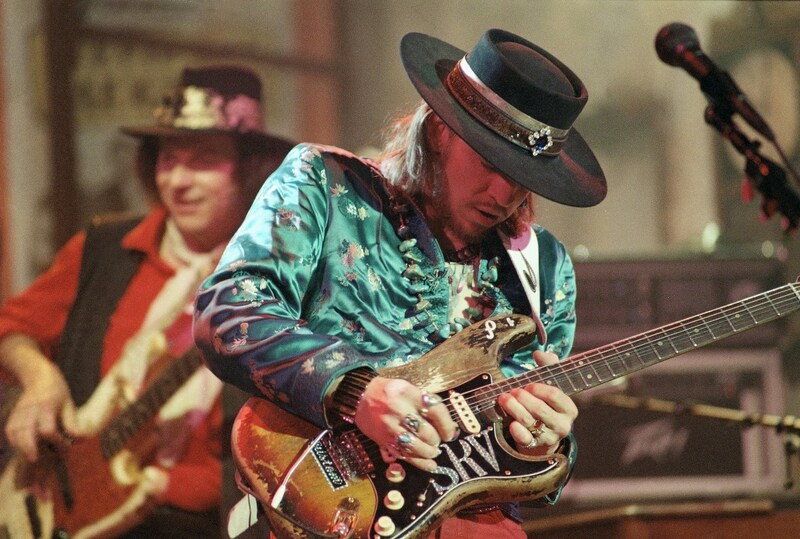 If SRV's number one has a 1962 neck, then why doesn't his Artist Series Strat have a period correct fingerboard radius? It's because the guitar was so worn in. It had seen many refret jobs due to Stevie's constant playing with heavy strings. The fingerboard flattened out. Eric Johnson is the kind of person who finds imperfection unacceptable. They say the perfect is the enemy of the good, but not everyone can be the same way. The point I'm attempting to make here is Eric was involved with this guitar's creation, and everything had to suit his desires for him to allow his name on it. There is a version with a maple fingerboard. This is the rosewood board version, and it is slightly more expensive, and with the rosewood fingerboard you have a bound fingerboard. 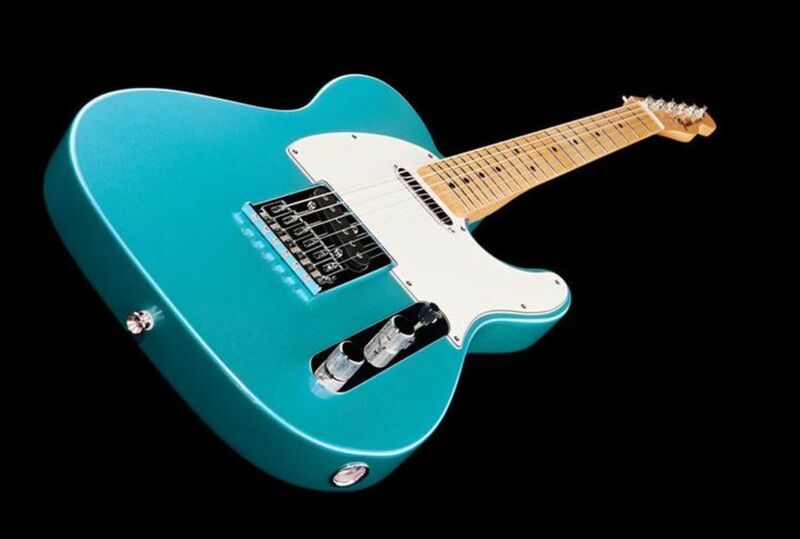 It's attractive, and Fender just doesn't do neck binding so often. The neck has a slight 'V' profile. The Lucerne aqua firemist color is pretty terrific. You're not going to get this color on anything else, and then there is a super thin nitro finish. Back to the fingerboard. You get the 12" radius on this guitar, just as on the SRV guitar. The 12" radius means the fingerboard is much more flat than is typical with Fender. The flatter the board is the more it is thought to facilitate single note lead playing. Why a two piece body? Because that's what Eric wanted. There is a deeper contour on the body to make it more comfortable for Eric to play. Will it be more comfortable for you too? Only you can answer that question. Eric wanted a five spring tremolo block, and so, of course, he got one. He believes the guitar sounds better without a trem cavity cover, so there isn't one. The bridge sits flat, and the action will come from the factory quite low. Eric Johnson was right on top of folks while the pickups were developed. These pickups are exactly how Eric wanted them to be. These are Fender Custom Shop pups. You have to understand Mr. Johnson is someone with a monster intelligence, and he's obsessed with perfecting sound and music. The bridge pickup was voiced to be brighter than is usual. Fender Strat bridge pups are already bright, but Eric often employees extremely bright clean tones. There is one tone control which controls just this bridge pickup, and when dialed half down, there you will start to get Eric's famous violin tones. The tuning machines or 'machine heads' are staggered. Their height is not uniform, but staggered so as to eliminate the little string trees on the head-stock. This is uncommon, and may seem a minor thing to you. It was important to Mr. Johnson. Everything about this guitar screams boutique quality. Anderson and Suhr couldn't build you a better one than these. You get a completely custom case with this. It is a deluxe blonde hard shell. It is brown on either end, and with gold interior. Which of these two beauties is right for you? These are two of the most upscale Stratocaster gits Fender produces. They are made in honor of two of the finest ambassadors Fender ever had, so it's little wonder they're expensive. I'm pricing the SRV at seventeen hundred, and the Johnson at nineteen hundred. I figure Johnson's cost more because of the binding on the neck, and because of the Fender Custom Shop pickups. The Johnson guitar also comes with a much more specific case. I can imagine one finding the left handed bridge and tremolo bar on a right handed Strat being a hindrance. If you aren't a person who uses the Trem arm much, you can always spin that puppy right on off, and stow it in the case. If you do use the bar, but find its positioning unfavorable, that would seem to rule the SRV guitar out for you. I do imagine one would become accustomed to its position in time, if they were otherwise in love with the Fender SRV Strat. What about the pickups? They are going to be quite different. The Texas Special set on the SRV guitar are pickups you can purchase and drop into any Strat. The Johnson pups are also available. You can mix and match pickups all you like, but should you? Both guitars are built for the person who loves single note lead playing and mega string bending. Both are made in the USA. Stevie and Eric sound quite different from each other. 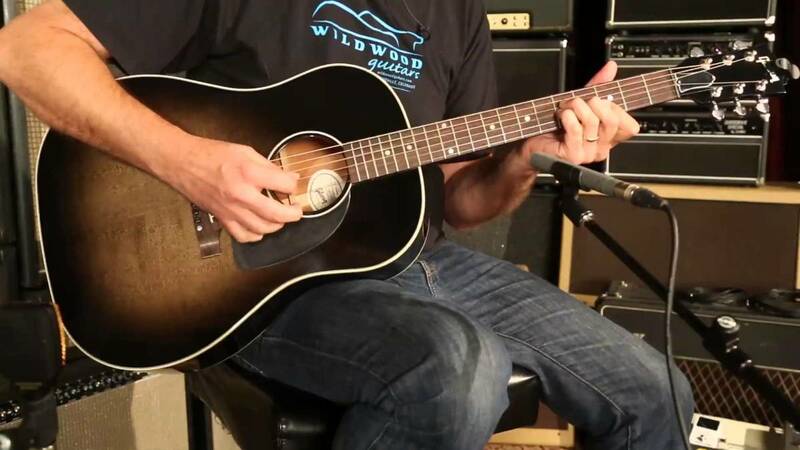 If the goal is to sound like either, then the guitars are an expensive place to start, but it could be investing in such fine guitars would provide one the motivation to achieve greater musicianship and amazing tone. Just realize that if you decide to own either of these, lots of the rest of us are going to be a bit jealous of you. Folks may show up when you're home unannounced. They may bring you dinner or a six pack, and want to play your guitar. Thanks for reading. nice comparison of the two models. But the main reason in the price difference is due to the nitrocellulose finish on the Eric Johnson model vs the polyurethane finish on the SRV model. Nitrocellulose finishes need much more production steps than polyurethane ones.